Magnetic flange protection had been around for years and there are several companies that make it. Most work relatively well but typically are not strong enough to stay attached to the flange face. This is due to the serrations in the machined flanged face creating limited contact points. P3 flangeMAGS® are manufactured from extra high strength magnetic material overcoming the limitations of the minimal contact points. They work well during service applications, welding and fabrication when flanged faces are typically exposed and left open to mechanical damage to the flange face and contamination from foreign objects and debris getting into the interior of your pipe spool and vessels. 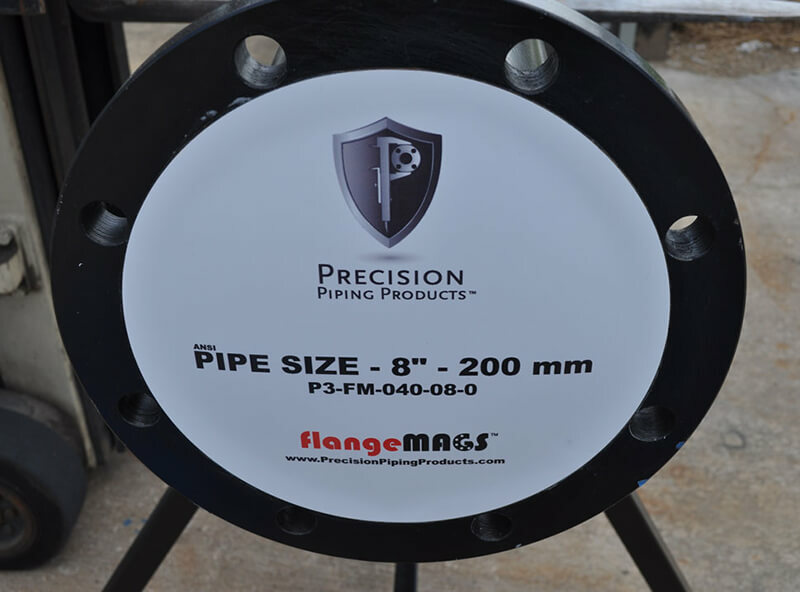 P3 flangeMAGS® are precision cut to fit the critical surface machined area of your flanges. flangeMAGNUMS™ combine the ease of use of our flangeMAGS® with the strength of our flangeBUMPER®. It’s the best of both worlds! P3 flangeMAGS® and flangeMAGNUM™ have undergone rigorous testing and development to ensure the perfect design fit and material strength. Just place the flangeMAGS® or flangeMAGNUM™ on any steel flange and it will stick and hold until you are ready to install the component you are servicing, fabricating or send to blast and paint. These products can be used during the welding and fabrication process, as well as staging awaiting blast and paint to keep debris out of your steel components. Call us today for pricing and samples! We look forward to hearing from you!